When the outdoors is drab and dreary, liven up your home with an indoor air plant. Tillandsias. David Sherwood, Sherwood's Forest. Staghorn Ferns. Ann Lapides, Sugar Creek Gardens. A plant that grows without soil… sounds impossible, right? Not so. Air plants actually grow and thrive without soil as their leaves absorb water and airborne or waterborne nutrients. Air plants need constant air circulation to keep them happy. They also need some moisture through daily or weekly misting, depending on how dry your climate is. With little maintenance required, these plants look great alone or in air-plant terrariums. 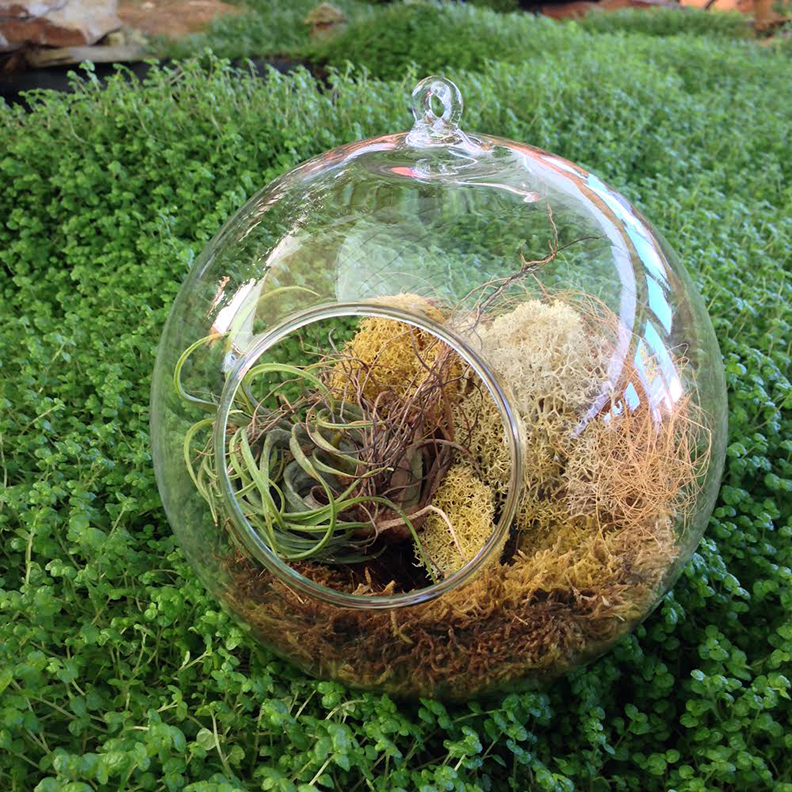 Here’s what several local landscapers had to say about air plants. “These Tillandsias are easy to care for; just mist occasionally. They are wonderful to adorn your favorite gnome or statuary.” David Sherwood, Sherwood’s Forest. “Air plants are amazing and fun! They will grow on anything from seashells to terrariums, with no soil needed. They also make terrific and easy houseplants, with little space required,” Jim Oldani, SummerWinds Nursery. 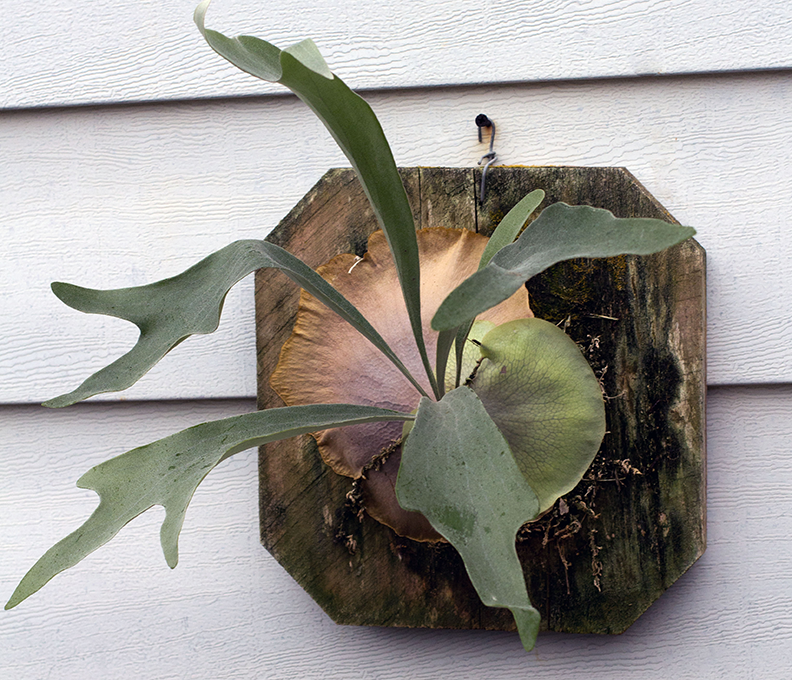 “With an out-of-this-world appearance, Staghorn Ferns are one of our most popular air plants. The ferns can live many years with good care and have been known to be passed down from generation to generation.” Ann Lapides, Sugar Creek Gardens. Air plants grow differently than most houseplants, so they can be confusing for the beginner. Because they are very hardy, they require much less attention than other house plants. • Bright, filtered light is the general rule. • The higher the humidity of the air, the higher light will be tolerated. • The most secure way to water the plants indoors is to submerge them for 12 hours in good water, meaning water that is low in dissolved solids and salts. • Rain water and bottled drinking water are best. • A soaking will suffice for 10 days to two weeks. • If soaking your plant is not practical, mist the plants with good water and try to monitor their state of hydration as best as possible. • Air plants will not survive in standing water. After wetting plants, turn them upside down and gently shake them to remove excess water. 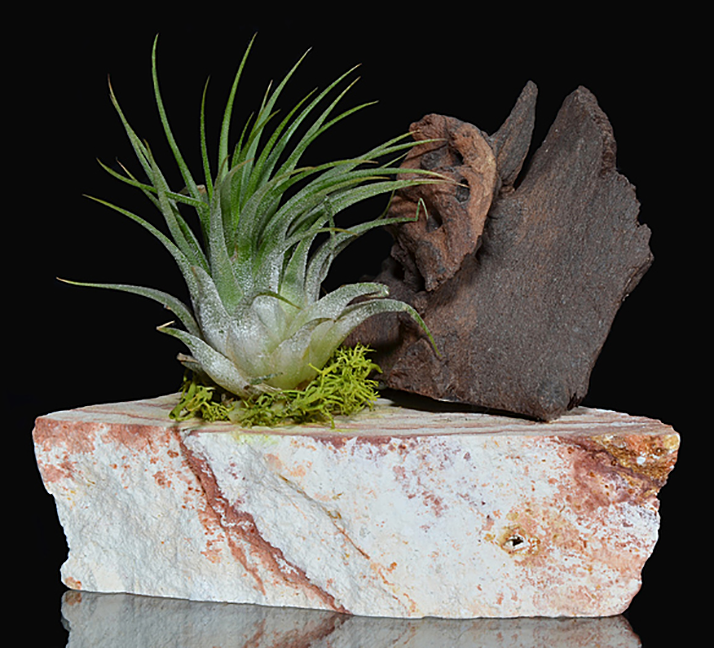 • Air plants can grow anywhere, including on rocks, in shells or coral, in pots or attached to wood.